The rain delivered as much excitement as was promised in Brazil. With two red flags and five safety cars, Sunday’s disjointed race gave many drivers a platform to showcase their prodigious talent in the wet. Lewis Hamilton’s flawless performance from up front won him another first place finish while championship leader Nico Rosberg clung onto second place despite attempts by Max Verstappen to climb a podium step higher. 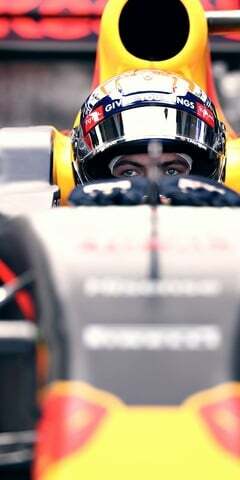 Verstappen once again was the star of the show with his outstanding last few laps filled with daring overtakes that took him from 16th to 3rd. The Dutchman put in another of his now traditional seemingly impossible performances undeterred by the pouring rain and with a few more laps would have been challenging Rosberg for second. Indeed, if he hadn’t stopped to change to inters and then back to full wets again he could have been challenging for the win. His blistering pace rewarded him with the fastest lap, making him the youngest ever driver to do so and giving him another record that might well not be broken for a very long time. If this is foreshadowing the Verstappen of 2017 then he might well be fighting for much higher than fourth in the championship this time next year. Felipe Nasr took advantage of the difficult conditions to finish in ninth, gifting Sauber their first points of the season and moving them up to tenth place in the championship along with all the benefits that come with it. This may also make all the difference to his career with no confirmation as yet as to who will be in the Sauber cockpits next year. However one team’s success is another’s disappointment. Estaban Ocon was another young talent to shine in the wet, running in the points for a considerable amount of the race before Valtteri Bottas and Fernando Alonso finally made their way past in far superior machinery. In only his eighth race and in treacherous conditions that caught out veterans such as Kimi Räikkönen and Felipe Massa, the Frenchman put in a mature drive proving that he is worthy of the move up to Force India in the new year. However this wasn’t enough to save Manor’s championship hopes as Sauber pushed them into bottom place. Brazil was also Felipe Massa’s final home race and the safety car period caused by his crash gave the whole pit lane an opportunity to say an emotional goodbye. The garages of the rival teams gave him a standing ovation as he made his way back to Williams surrounded by his family. This really sums up the ending of 2016 and the beginning of the changing of the guard as Massa and Button gracefully take a step back from the sport and allow the new blood of the likes of Verstappen and Ocon their time in the forefront. However it’s Hamilton’s win that really set Abu Dhabi up to be a thrilling end to the season. If it had been Rosberg who had stood on the top step in Brazil he would already be world champion. As it is, all Rosberg needs to do is finish on the podium to become champion wherever Hamilton comes and Hamilton needs to finish in the top 4 even if Rosberg doesn’t finish. Hamilton closed up the points gap last week but Rosberg still did enough to give himself more than a fighting chance to come away from 2016 with his first championship.